Aik Pal _ Episode 7: On Their Separate Ways! A university is a place where lots of people, from different backgrounds mix together. They have different ways of thinking and different outlooks on life. These people study together and mingle. Then at last it’s time to go on their separate ways, and that’s what happened today in Aik Pal. Mus’haf went back to his village and Noor Fatima to her’s. Bareera’s hatred for Mus’haf remained. 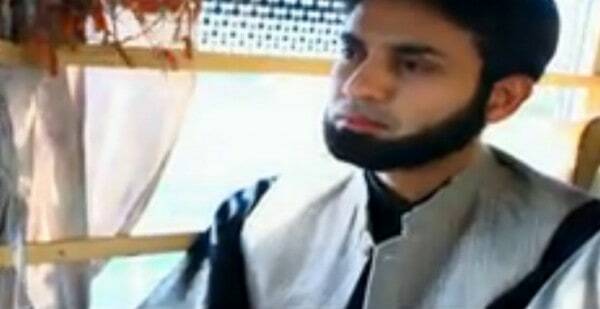 Tum aao shadi par….tumhein pata chale ga mere jesi larki ko purpose karne ka kya anjam hota hai…It is really unconvincing why Bareera hates him that much. She is a beautiful girl and she knows that. It’s not like Mus’haf was the first guy to propose her? But let’s leave that, and come to the wedding of Omair and Bareera. I thought Bareera could afford the best dress in the market but her dress was totally disappointing and old-fashioned. I love the colour purple but even that could not make me like the dress. Added to this, the jewelry and makeup were totally weird. 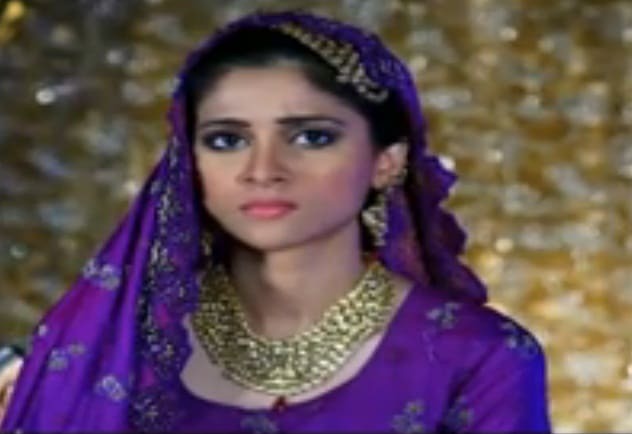 Omair had told Bareera in the previous episode that he would not live in his parents house. Then why was he happily living at their house after the wedding? A directional loophole maybe. Anyways, as expected, Omair’s parents showed their aukat after the wedding and began their demands but I am glad Omair took Bareera’s side. Till now, he is not as bad a husband I had thought he would be. I liked it when he shot down his parents’ attempts at grabbing Bareera’s money. But with his father’s business going down and his mother’s parlor their only source of income, I am sure Omair would be forced to look for a job and he has already stated that he can not do it. That will lead to trouble. Mus’haf on the other hand was happy doing what he loves, i.e, teaching kids in his school. We were introduced to a new character, Rani, portrayed by Haya Khan. She is the chauhdry’s carefree daughter and has developed a liking for him. One of Noor Fatima’s university friends sent a rishta to her house. Noor Fatima asked for some time from her taayi before the wedding and she threw a tantrum about it. Not to mention, the namak mirch she put in before telling this to Imran. He ran to Noor Fatima’s house and defamed her. Apne university ke dost se shadi karogi! Whatever happened after this was highly unconvincing. In order to prove herself right, she decided to get married to him immediately! Sounds crazy right? The happenings of today’s episode were interesting but some of them were totally unconvincing and I wish the director would have paid more attention to them. What do you guys think?